Nicholas Lezard loved London. Then the London 2012 Olympics came along ...Suddenly his beloved city was invaded by über-people in branded sportswear who had contorted their bodies into odd shapes in order to run a bit faster, or throw things a bit further. 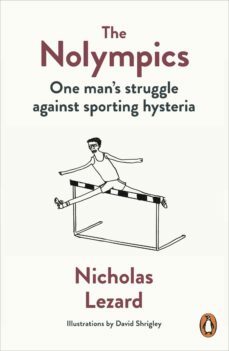 Not to mention armies of reptilian brand-managers, chancers and corporate cheerleaders all wanting to cash in, as a blameless piece of the East End was turned (at tear-inducing cost) into one huge folly.In The Nolympics Nicholas Lezard gives us the perfect antidote to Olympics fever with a hilarious blow-by-blow account of how he survived its highs and lows, triumphs and soul-destroying boredom. It is a book for anyone who would rather sit in the dark watching TV than ever wave a flag, who was last to be picked for PE, or who just feels that somewhere along the way the Spirit of the Games was smothered by wads of money. It is the only Olympic souvenir youll ever need.